Relationship mapping helps you identify decision makers and influencers to win, retain and grow your key accounts. Think of it as your little black book to get things done. People buy from people. In fact 6.8 people to be exact. In a 2016 study, CEB Global found the average number of customer stakeholders that have to formally sign off on a B2B purchasing decision was 6.8. Which means everyone has something to say. People on buying teams come from all over the organisation. Everyone seems to have an opinion and as a supplier you need to manage these diverse priorities to avoid deadlocks and get decisions made. To add fuel to that complex relationship fire, the US Bureau of Labor Statistics Employee Tenure Report revealed in 2018 the average worker (that’s you and me) stays in a job 4.2 years. It’s even less for workers aged 25 to 34. Guess how long they stick around for? So with people coming and going and sales decisions made by committee, you really need solid multi-level relationships with decision makers and influencers to help you win, keep and grow your client base. To do that, you need to start relationship mapping. Do they have any interest in your business relationship? How do they feel about you (do they like you, hate you or somewhere in between)? What actions can you take to grow engagement? Relationship mapping helps you win new clients, keep the ones you have and unlocks revenue growth because you are connecting with the right people, uncovering their challenges and then solving them. You’ll also understand the quality and strength of your relationships, where the risks are and where to focus your time and energy. Build the right relationships with the right people. Avoid formal processes (like presentations, reports and proposals). Spend more time strategic initiatives because your client listens to your advice. Get things done – fast track stuff! Who do you know well? Is there anyone you need to know better? Who don’t you know at all (instead of names, write down job titles or department names)? Then add some extra dimensions. Influencers. Who has the most say on the future of your partnership? Users. Who actually use your product or service and how do you help them succeed? Leaders. Who are the Executives that have the power to raise concerns or put up roadblocks? Decision makers. Who controls the resources? Budget holders. Who has a financial stake? Supporter. Who is on your side? Detractor. Who doesn’t like you and actively tells people? Champion. Who absolutely loves your company and sings your praises even when you’re not around? People that do the selling for you! After going through this exercise you may discover there’s a bunch of people who aren’t as important as you thought. Take them off the list, you don’t need to worry about them for now. There’ll be others where you need to do a bit more digging to understand the relationship more. You’ll then be left with as solid of list of where to engage – it should be only on those people who are critical to your success.  TIP: Ask your main point of contact for for a copy of their organisation chart. Then site them down and ask who they think you need to keep happy. They’ll be delirious you asked because happy stakeholders will make their life easier. It’s time to put your strategic hat on and decide how you’ll strengthen, expand and develop these relationships. What else can you do to turn them into champions? What do you need from them and what do they need from you? How is your success linked to theirs? What is your course of action to develop these relationships? How will you communicate with them and how often? For instance, executives may need less frequent but more formal communication, like a quarterly presentation that reports key performance indicators. Host a brainstorming session to uncover challenges and potential solutions. Send updates on things your working on by explaining what’s happening, when and why. Share a useful report or presentation. Arrange a training session that helps them use your services more effectively. Share a case study or whitepaper relevant to their role or industry. Call and follow up on a survey response or an incident. Leave thoughtful comments on their social media posts. Keep your plan updated as you learn new information or make progress. Less is more – you want to go deep not wide or you’ll go crazy trying to please all the people all the time.  TIP: Yes, Account managers are the ultimate owner of the relationship between your organisation and your client, but you simply can’t be the sole point of contact for every single relationship in your clients’ organisation. Where it makes sense, introduce subject matter experts to each other. Marketing people to marketing people, finance to finance. 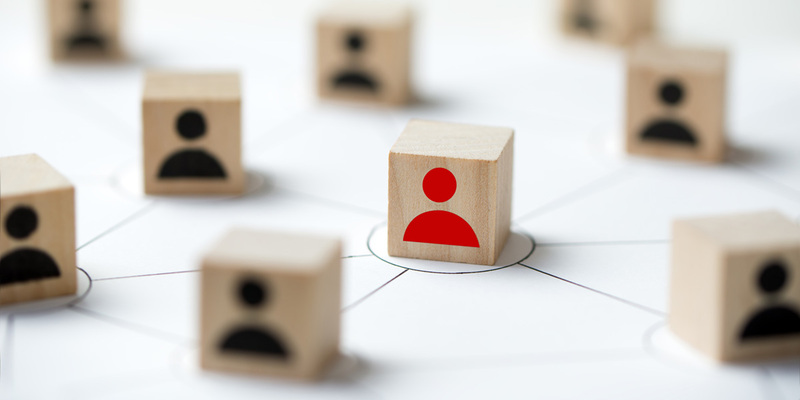 Maybe your boss could play a bigger role in connecting with your clients’ senior management? My free Relationship Map Excel Template is a great place to start. You can easily enter all your key stakeholders, qualify the strength of your relationships and create an action plan to improve engagement. 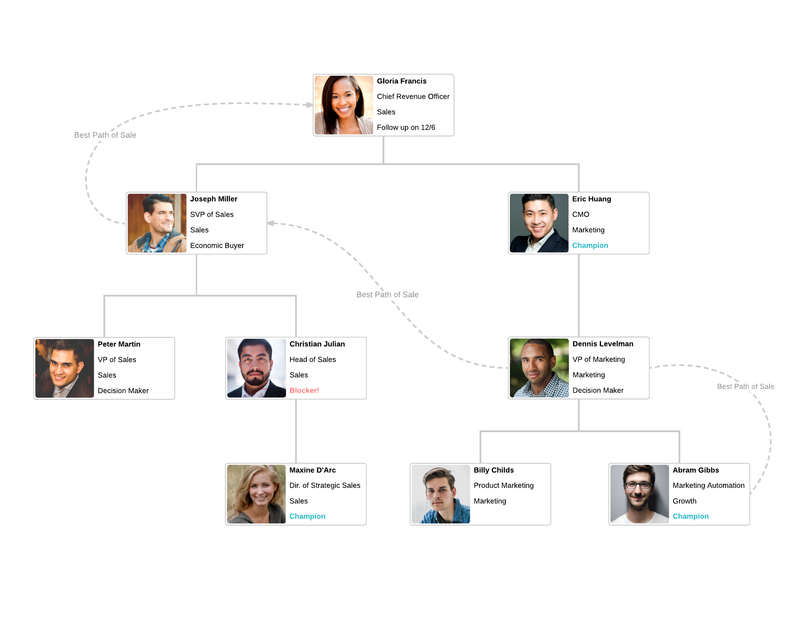 If you really want to kick it up a notch, think about using online relationship mapping tools. These offer customisable templates that will inspire your creativity and keep you focused. Your browser is not able to display frames. Please visit Relationship Map Template on MindMeister. Mind mapping is the perfect way to create relationship maps and Mindmeister is a free tool that makes it so easy. 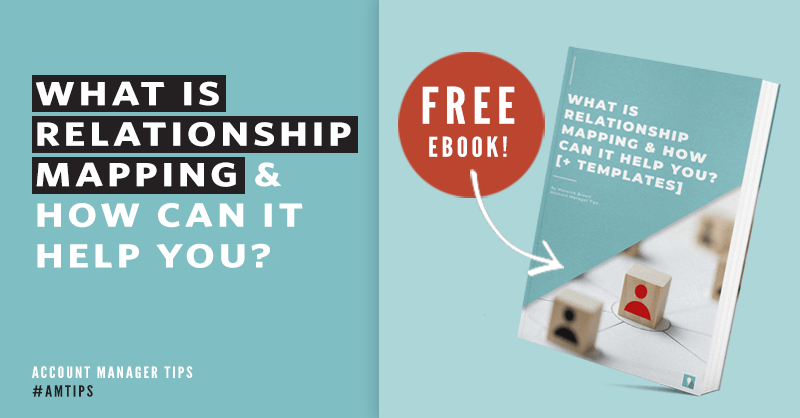 Grab a copy of my relationship mapping template to get started. Then just fill in the blanks. Colour code your nodes based on relationship strength and use the comments feature to add insights. I really like the integration with TaskMeister because in the click of a button you can create a laser-focused project plan for those difficult customers and turn them into into champions. Mindmeister pricing: free for the Basic plan with 3 mind maps (get one additional map (for a total of 10) for each person who signs up for an account using your referral link). From $4.99/month for the Personal plan including unlimited mind maps, attachments and exports. Part of Hubspot’s CRM ecosystem – but available as a standalone solution – you can create up to 5 charts on a free account. 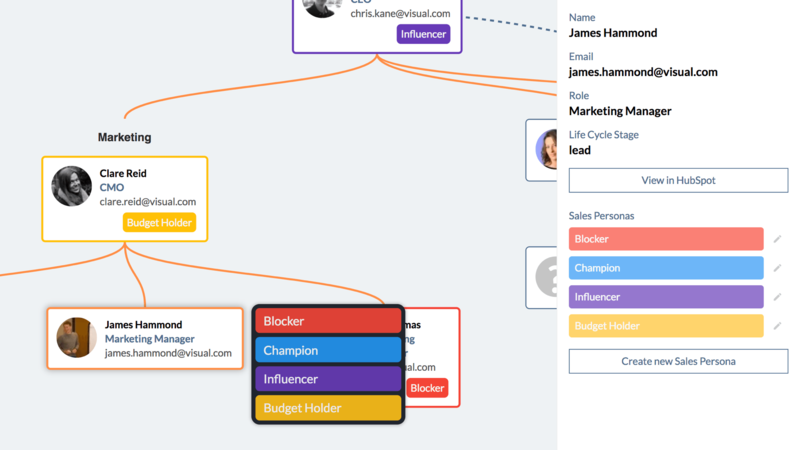 Visualise your accounts, see key stakeholder roles and understand relationships at a glance. You can set different personas and a really neat feature is the ability to put placeholders for unknown stakeholders and swap them out with contact details once you’ve identified them. Draw lines between contacts to map out relationships and focus your energy and engagement where it’s needed. OrgChartHub pricing: free for the Starter plan with 5 relationship maps. From $50.00/month for the Basic plan including 50 maps. LucidCharts offers a full suite of visual drawing tools to understand the political landscape of an organisation, who to target and how to best reach them. Plenty of templates to easily build diagrams, create plans and show progress so you spend time where it counts. LucidChart pricing: Free for up to three documents. From $4.95/month for the Basic plan which includes unlimited documents, shapes and 100mb of storage. QUESTION: Do you use relationships maps? Do you think they’re useful for win, keep and grow your key accounts? Let me know in the comments.